A pianist in our paddock (yes, I know I posted this photo previously but for some reason the comments went off automatically). Last beautiful picture of Anthony with Doc (who died several weeks ago). Jack in the forefront, who I have re-named ‘Jumping Jack’ because he jumps like a kangaroo, will outlive all of us I think! 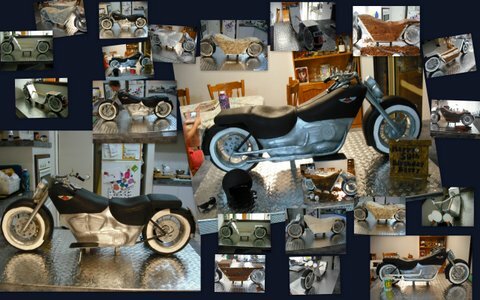 How to make a Harley Davidson motorbike cake …. 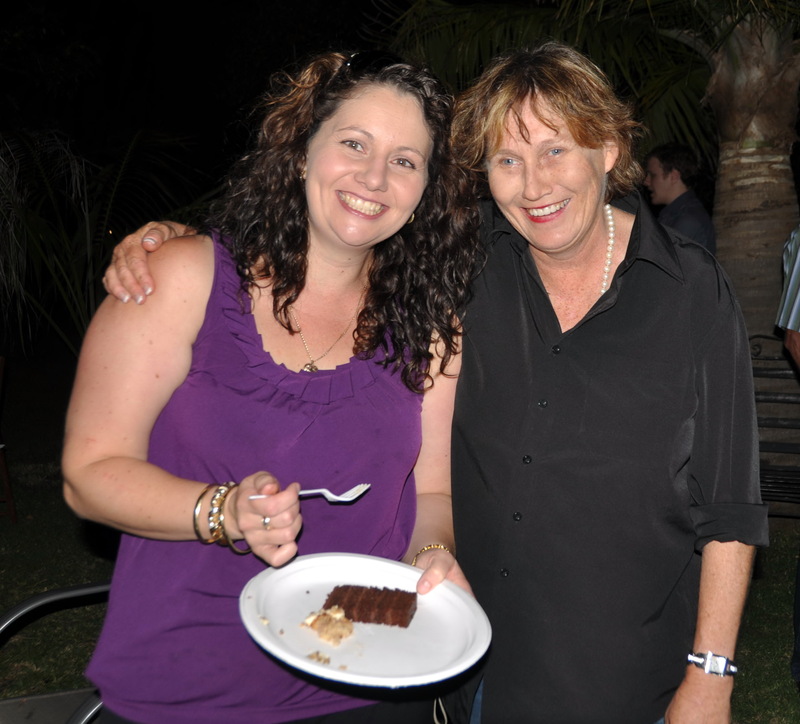 My good friend, the madcakelady herself, on the left, and me. 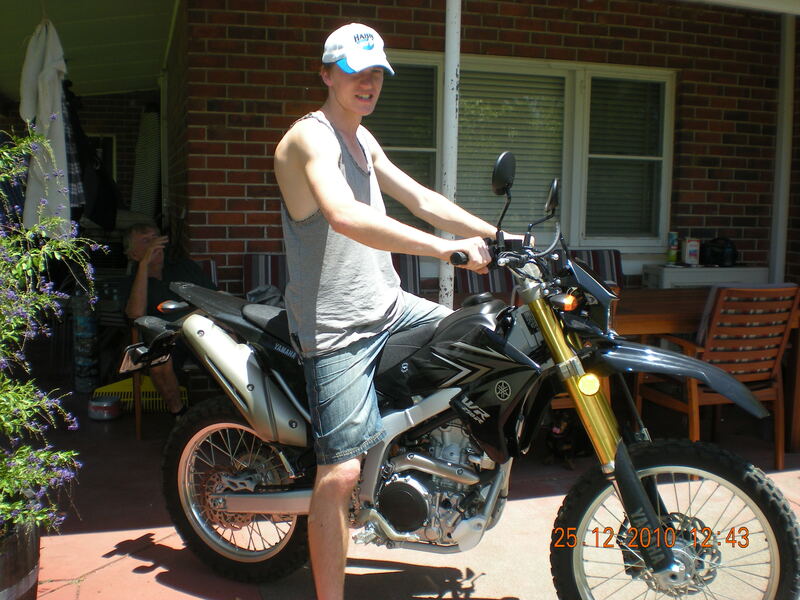 A son, sitting on the best surprise Christmas present ever! (Anthony is in the background). 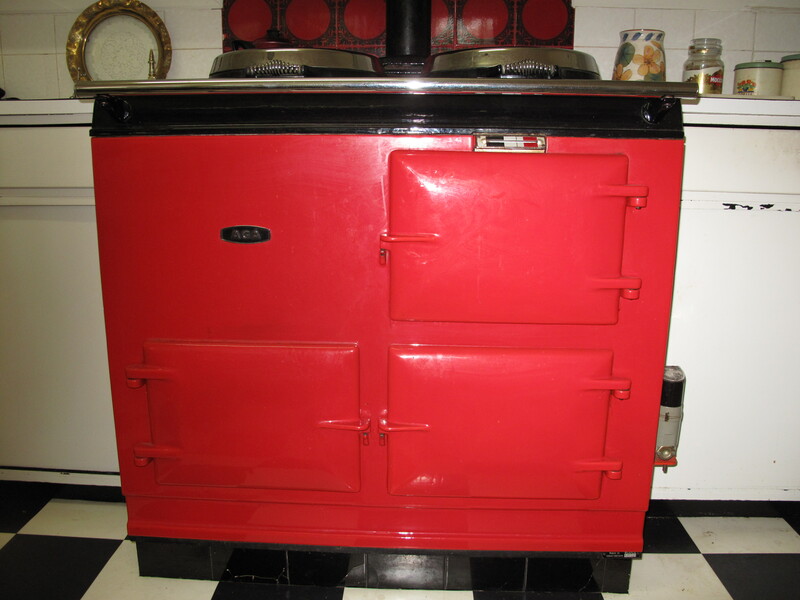 Anthony’s pride and joy, the Aga – the hub of this house. 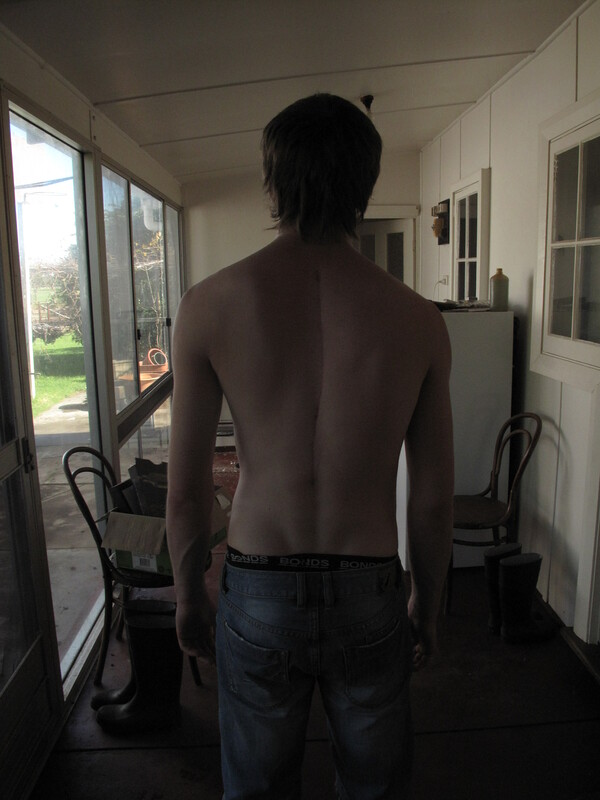 A scoliosis surgery success story. Ming and I are in the nursing lodge visiting Anthony who is wearing his shark eyes – unblinking – and the lack of expression on his face (which is a Parkinson’s disease symptom) makes him look angry. He can’t swallow properly anymore, so he has a constant drooling problem (another Parkinson’s symptom). Then he wants to go to the loo and I try to get him up off the chair and don’t have the strength without Ming’s help. Then, once standing, Anthony freezes and can’t walk (another Parkinson’s symptom). “He doesn’t want a nurse; he wants me,” I hiss, furiously. “And I am not weak, I am strong! 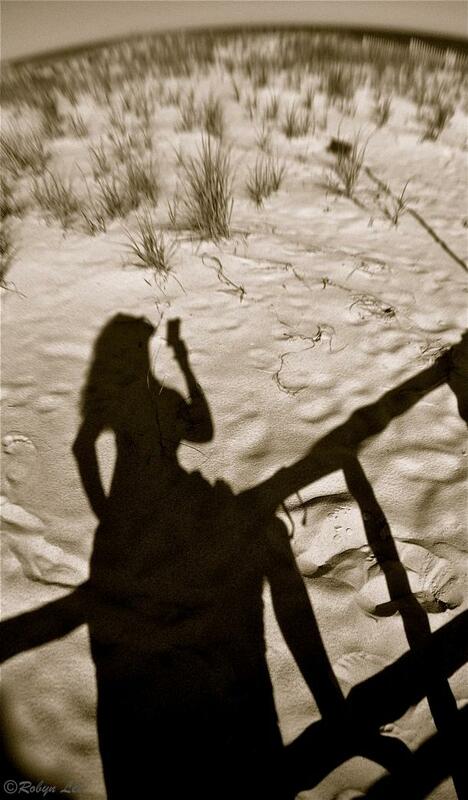 Just go away.” My anger is undirected; I can’t decide who, or what, I am angry with most. I go back to the bathroom, attend to Anthony and try, with great difficulty to bring him back into his room. It takes 10 minutes to get back to his chair and, when he is seated, he asks for his hanky for the dribble and I pick it up and give it to him. I flinch a little and Anthony says, “It’s just saliva; it won’t kill you.” By now his shark eyes have gone from angry to sad and I feel terrible for having snapped at him. “When am I coming home to the farm?” he asks me and I say on the weekend. We all sit for awhile in the room with Anthony sad, me guilty and Ming angry, and then we leave and I cry all the way home once again because of how much I may have hurt Anthony with my impatience. And I cry about my dread of the weekend, bringing him home. Every day, whether I visit Anthony in the nursing lodge or not (this is now every second day, and I bring him home twice a week for the day), I ring him. If I am not coming into town, I ring him an average of four times – morning, afternoon, early evening and bedtime. The trouble is he has difficulty answering the phone and often can’t work out what button to press, and sometimes he accidentally locks it. So my method now is to dial his number and let it ring 4 times, hang up, and repeat this several times until he finally answers. This saves the phonebill from skyrocketting, it gives Anthony time to answer the phone, and it drives me insane. Ming and I spent the morning with Ants today, recharged his phone and put it within reach. Ants said to ring as soon as I got home and I have now been trying to for nearly 3 hours. I know he is in his room, warm and comfortable and watching television, with the phone right next to him on a side-table. I also know he is sad because he will think I haven’t rung him when, in fact, I have tried a zillion times! 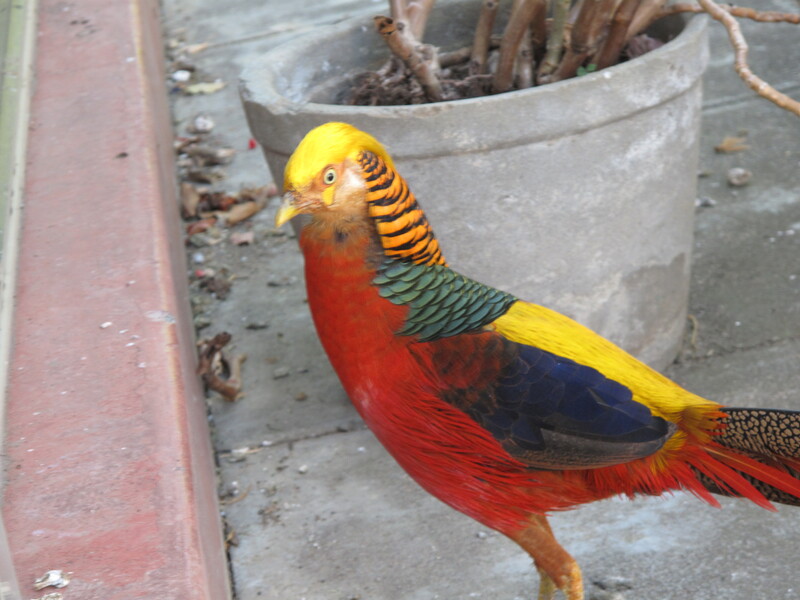 Female pheasants don’t grow on trees! When I wrote my cynical post about platitudes and cliches the other day, I wasn’t actually thinking so much of my own situation with a terminally ill husband, but of other people whose lives seem to have been swallowed whole by such chronic illness that each day becomes an enormous challenge. Some of those people I have met via the blogosphere, but I also know other people personally who are in various stages of illness or grief, so I understand and empathize with how difficult it must be to tolerate the platitudes. The comments I received on that post confirmed that many people find the platitudes and cliches intolerable, but it was also pointed out to me that cliches can be very useful when you don’t know what else to say, so perhaps the post was a little over-cynical. One off-the-record comment implied that for me to call a well-meaning platitude ‘crap’ was an ugly way of expressing things and that my cynicism didn’t fit with the flavour of the rest of my blog. So I went back and edited the post to make it gentler, but I kept the original words in there too. At the end I should have added “and you will pick yourself up” but, for some reason, I didn’t because, after all, that is not always possible. But, having upset one person, it is possible I may have upset others for which I apologize. I have also had to apologize to Phoenix 1 because I still haven’t been able to find him a wife! 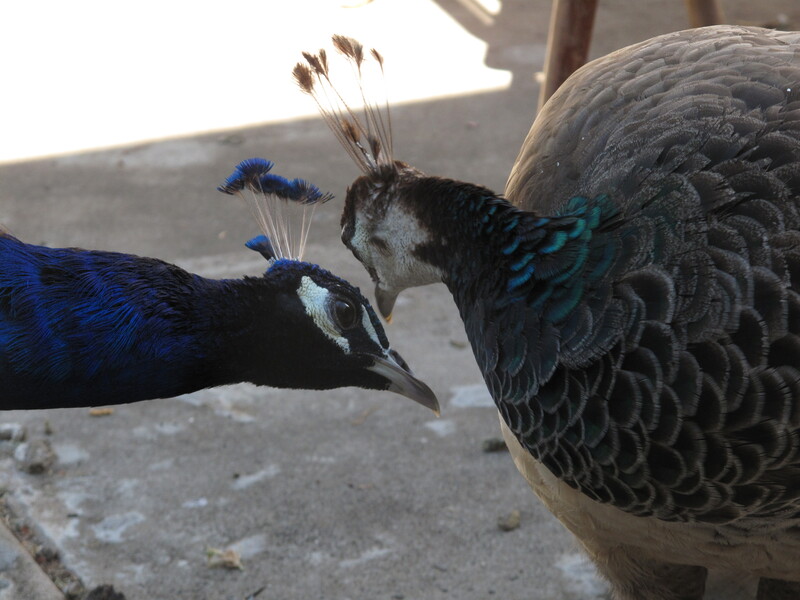 Me: Female pheasants don’t grow on trees, Phoenix! Phoenix 1: I think you have used a remnant of a cliche, Julie. Anthony loved to run. 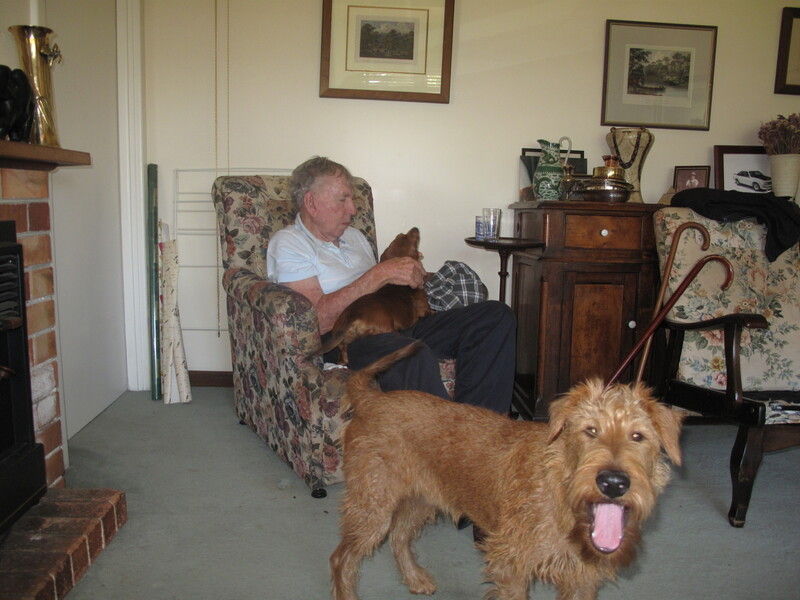 He didn’t need a horse or a motorbike to round up cattle and get them from one paddock to another; he just needed his own legs. Sometimes he would get me to help by yelling, “C’mon, Jules, run!” But I could never run as fast as he did, which was a bit embarrassing. He had the most muscly legs I have ever seen – huge calves, massive thighs – and he always wore those footy shorts, you know the black ones, and he always wore football socks too. So he kind of resembled a football player I guess – big, strong, energetic and, in my eyes (and his own!) perfect. Sometimes I would just watch him run because it was like watching someone glide through a mirror, or a window; it was like watching magic. Now Anthony’s legs are bony and often he can’t even walk. This blog is both inspirational and very thoughtmully; it gets my brain working. This blog takes the guts out of fear. This blog grabs me by the throat because it is about Parkinson’s disease. 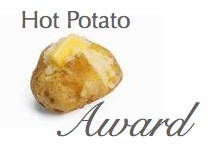 There is only one rule for the Hot Potato Award: you accept it and copy/paste it to your blog, or you don’t. I have been deliberately vague in my descriptions of these three blog awardees because I hope you will visit them and see how wonderful they are for yourselves. This is one amazing person – Robyn! I lift my head in prayer. Platitudes make me puke; cliches catch at the corners of my eyes like rogue eyelashes. Too much crap stuff is repeated, disseminated and shared until it’s like the worn out elastic that actually stinks when you finally pull it out of some old piece of clothing. Tomorrow is a better day. God doesn’t give you any more than you can endure. You will be rewarded in Heaven. Suffering is good for the soul. The rain in Spain falls mainly on the plain. On the wings of a snow white dove …. 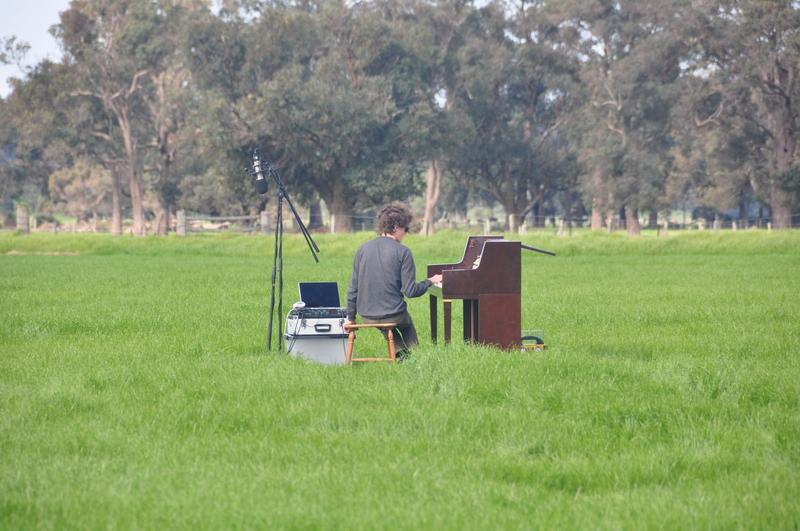 Yesterday, Anthony’s great-nephew, Michael Terren, a musician, came over to record in one of our front paddocks. And, no, this is not the kind of thing that happens here every day! I will keep you posted…. Thanks to Anthony’s beautiful niece, Jen, for this link. I hope it helps. If you care for anybody with any kind of dementia, this could work!